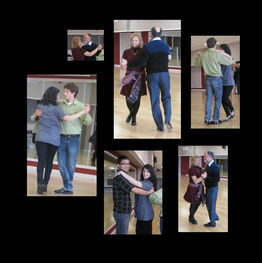 At Tango Fantastico we have been very lucky: All Summer long, Diego Lanau has shared his expertise on Musicality. A total of Five Tango Domingo workshops included listening to and dancing to both slow and fast orchestras, orchestras with different arrangements of the same musical composition, movements to fit the tempo, giros, boleos, sacadas and barridas. Diego has a penchant for technique and clear leading. His style is traditional and quite specific. 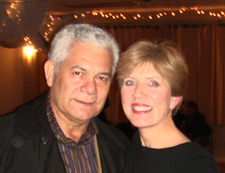 Now a familiar face in our midst, we express our appreciation for his quality contribution to our understanding of Tango and look forward to his return. Diego is now visiting his home in Buenos Aires for the holiday season and will return to the Bay Area in January 2012. Mom brings the whole family! Thanks to everyone for an enjoyable workshop and practica, and for supplying all the snacks, goodies and chocolates - yum! High Energy Milonga till 1:00am!! 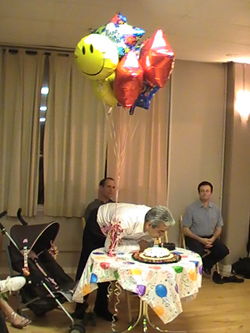 We celebrated Jorge's upcoming birthday a little early at the June 13th Milonga in San Jose. "Thank you, Maestro, for your wonderful inspiration and teaching, we will apply ourselves and practice the techniques you demonstrated so beautifully 'one million times' (per your recommendation) before you return. "I find he guides leaders from his decades of experience in tango and then challenges them with patterns that simply and efficiently test their real knowledge of the technique being taught." 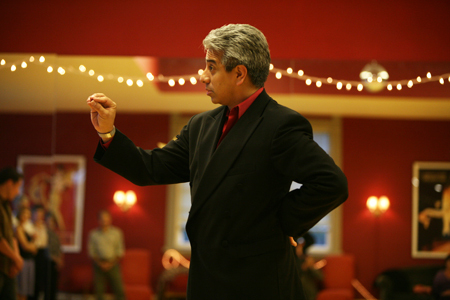 This was the fifth time Tango Fantastico has hosted Jorge Torres in the San Francisco Bay Area! Our Maestro gave us some of the inside secrets to his magical dancing on this tour with his "Illusions and Magic" theme. 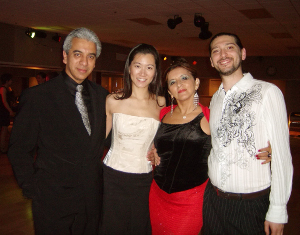 We all had a wonderful time learning and laughing with Pampa at the pre-milonga class on December 13, 2009. What a ray of sunshine he is! Tango at The Flamenco Society "Juerga"